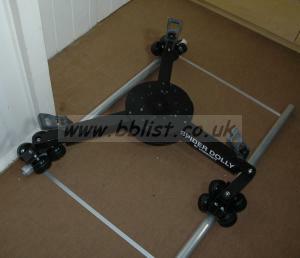 Losmandy Spider Dolly (3 wheels) with Straight track or Flex track. I need base plate that can work perfectly with red,arri and other heavy cameras. It should be compatible with F4 head. Looking for O'Connor 50D tripod fluid head in good condition and no leaks. Will also consider O'Connor 50.